Amazon is setting the bar very high for e-commerce merchants in terms of delivery. Read how the industry is responding. 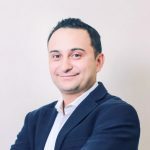 Read the complete interview between Rafael Zakinov and Sramana Mitra, the founder and CEO of One Million by One Million (1Mby1M), the world’s first and only global virtual incubator/accelerator. 1Mby1M’s goal is to help a million entrepreneurs globally reach a million dollars in annual revenue, build a trillion dollars in global GDP, and create 10 million jobs. Sramana Mitra: Let’s start by introducing our audience to yourself as well as to Ruby Has. Rafael Zakinov: I’m the Founder and CEO of Ruby Has Fulfillment. We’re an e-commerce-focused fulfillment company. We’re based out of Long Island, New York. We have locations throughout the United States servicing both coasts. We have come to be a real brand name amongst emerging B2C brands. Sramana Mitra: What scale are you at? How many customers are using you? What size customers are you particularly suited to? Rafael Zakinov: We currently have over 180 customers. Our customers really range. We have startups to VC-backed companies and also publicly-traded companies. Sramana Mitra: Can you talk a little bit about the trends in your industry? Where do you feature in that conversation? Rafael Zakinov: With respect to the key industry trends that we see, everything was about cost three years ago. Now it’s about speed. After you click the buy button, how fast can the customer get the product? Right now, that is a major industry trend. Back in the day, it was free shipping. Then, it was three-to-five day shipping. Then, two-day shipping and now, it’s same-day shipping. Companies are struggling to accomplish that and we’re bringing solutions to our customers. Sramana Mitra: How do you do that? How do you compete with Amazon on same-day shipping? Rafael Zakinov: Amazon doesn’t necessarily spend more money to get it to the door faster. They bring their distribution centers closer to the consumers. We have centers very close to major populous hubs where we enable same-day delivery. Let’s say one of our customers is Brooklyn Inn. If you buy something at 11:30, it will be at your doorstep between 6 PM to 7 PM. Rafael Zakinov: We use couriers. We use a multitude of products to enable us to achieve that. Sramana Mitra: It’s all about the placement of the delivery centers – nothing else is critical in this algorithm? Rafael Zakinov: As far as the algorithm goes, we track and see where the consumers are by zip code, ensure that the zip code is serviceable by same-day delivery. If it is, the option is displayed to the consumer on the shopping cart level. That’s how that’s enabled. Sramana Mitra: At what level of delivery center coverage have you achieved scale in being able to do that for your customers? Like how many delivery centers do you need to be able to do this? Rafael Zakinov: It depends on what cities you’d want to reach. Right now, we have New York covered. We’re launching LA and San Francisco for next-day delivery. Essentially, you would need to place your centers very close by – within a 50-mile radius of major cities. That is the trend that we are tracking and executing on. Sramana Mitra: If I’m an e-commerce company and one of your clients, you only have New York, and you’re starting LA and San Francisco, how am I covering the rest of the deliveries that I need to make? Rafael Zakinov: We currently have three facilities in the US – New York, New Jersey, and Las Vegas. The other zip codes are achieved with two to three-day shipping depending on what kind of service levels they’d like to offer their customers. 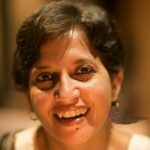 Sramana Mitra: Can you help me understand the ecosystem of the options that the e-commerce companies are working with right now? Rafael Zakinov: With respect to fulfillment? Rafael Zakinov: You have many options. There’s the traditional route of having your own warehouse. You then have the option of using a third-party provider such as ourselves or Amazon. Those are the two options. The least one that is used is the third option of having it drop-shipped, which is rarely used especially for e-commerce brands and entrepreneurs who make their own brands. Sramana Mitra: What is the cost implication of all this? What does it cost to deliver this level of service? Rafael Zakinov: By working with a third-party logistics provider, there’s obviously a lot of advantage. Amazon has the advantage because they’re a goliath. A startup might not have that capital and scale to achieve multiple warehouses and conveyor systems. The cost is mitigated by pooling it together amongst other brands. It’s relatively inexpensive compared to if you try to do it yourself. Sramana Mitra: Prime gives an incredible level of service with their unlimited free shipping based on subscription. Cost-wise, it’s formidable to compete with this. Rafael Zakinov: It’s definitely not free. You do pay for it throughout the year. Their costs have shipping fees embedded in them. If you shop on Amazon and add-on an item, they’re significantly cheaper than buying them separately. The cost of shipping is included within the items themselves as well. Amazon is strategically placing that inventory much closer to the consumer. A perfect example is one of our clients such as Brooklyn; they strategically place their inventories in multiple of our warehouses to achieve that two-day delivery to about 90% of their customer base. Sramana Mitra: What I’m hearing from you is that the pressure is on. Rafael Zakinov: Amazon is setting the bar for the consumers. Three years ago, you would advertise your handling time as one day. That was acceptable even a year ago. That is no longer acceptable. Our sellers are literally putting on their websites, “Order by 2 PM. Ships same day.” Not many companies can achieve that. Amazon is setting that bar. It’s really the consumer expectation. That’s much harder to trail because they’ve already delivered that expectation. You expect to get something on your doorstep within two to three days. That helped our business very much. We have sellers that are currently shipping out of their own warehouses for years on end. They have a pretty good structure. Either they can’t physically get orders out fast enough or their cost can’t accommodate that. 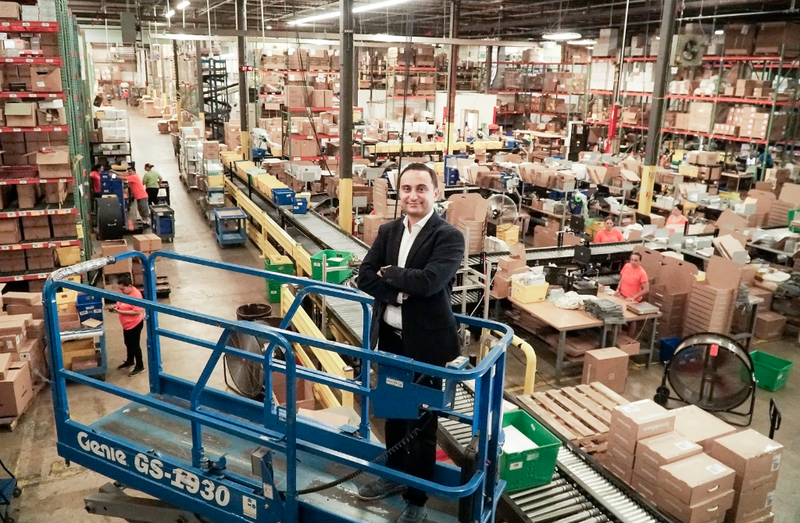 We have very successful companies that are closing up their own warehouses and their own distribution center, and coming over to us to achieve that consumer expectation of shipping same day and getting the product there within two to three days. Sramana Mitra: Getting that kind of coverage across the country with their own warehouses is a very expensive proposition. Rafael Zakinov: Very expensive. They have to go out and find a different solution outside of going out and opening up another warehouse and hiring another manager. Sramana Mitra: In general, the trend outside of e-commerce is about flexible resources, whether it’s human resources with the gig economy or office facilities. Rafael Zakinov: Absolutely. If you asked me 10 years ago about sharing office space or going into a stranger’s car, I’d say ,”What?” The Ubers and the WeWorks of working together and outsourcing these important parts of your business is today’s standard. It’s beautiful to walk into a WeWork. You have a fully-designed space. There’s the fully-stocked kitchen at all times. The same thing with fulfillment where you traditionally wouldn’t have conveyors and other systems. You now have that. The emerging of the Ubers and WeWorks of the world has definitely alleviated some of that hurdle of giving over your inventory to another company.